Briogáid Dearg. | Come Here To Me! After history, League of Ireland football is one of our great loves you could say. Central to the beautiful game here is fan culture, be that the great travelling support enjoyed by some clubs or actions in the stands. 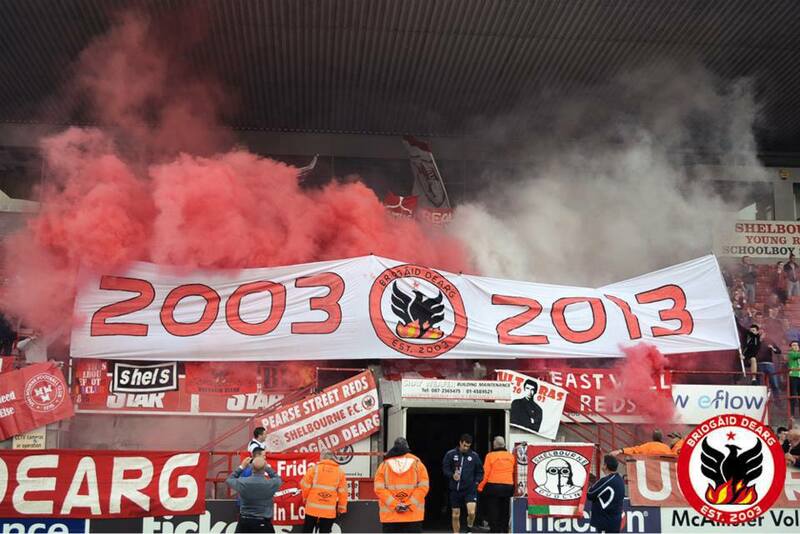 Briogáid Dearg, the ultras group at Shelbourne F.C, turn ten this year, having been established in 2003. On Friday night, they marked their birthday with a true spectacle, a brilliantly executed show of colour and passion. Congratulations to them on ten years. Briogaid Dearg. 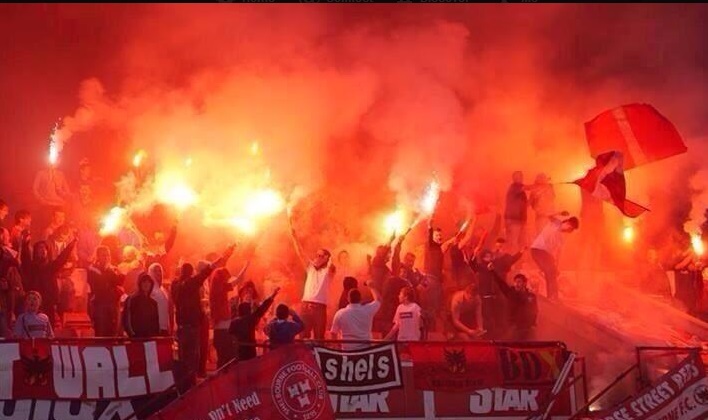 Shelbourne vs. Sligo.